FlowSight™ is an advanced visualization and analysis tool powered by the world-leading EnSight® post-processor from CEI. FlowSight is included with all FLOW-3D products without any additional cost. FlowSight is a robust post-processor that provides enormous flexibility to the user for analyzing and presenting the simulation data generated from FLOW-3D products. Some of FlowSight’s key capabilities include volume rendering, volume/surface/point queries, case comparison, CFD calculators, and animated streamlines. 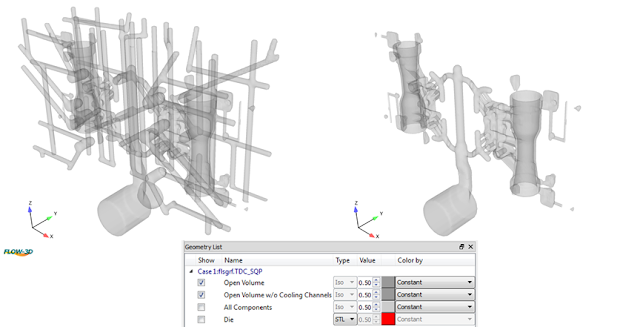 Just as new developments are added to FLOW-3D products, FlowSight also continues to be extended and improved. With the release of FLOW-3D v11.1 and FLOW-3D Cast v4.1, FlowSight’s feature and functionality list has grown further. In addition to geometry components, geometry types like baffles, sampling volumes, and probes form an important part of many simulations. 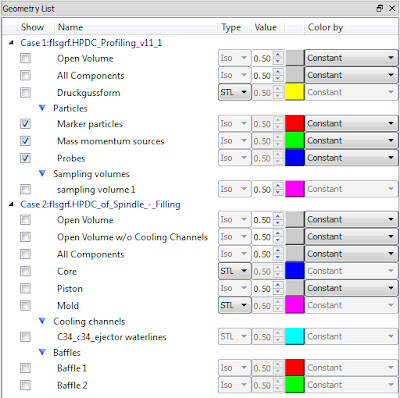 FlowSight can now display more geometry types allowing the user a more clear connection between geometry setup and results analysis. This connection is important as it helps the user understand how a certain geometry type, for instance a solid baffle, has affected the overall results in the simulation. Another example is a probe, which is passive in the sense that it does not the change the simulation results, and only collects data. 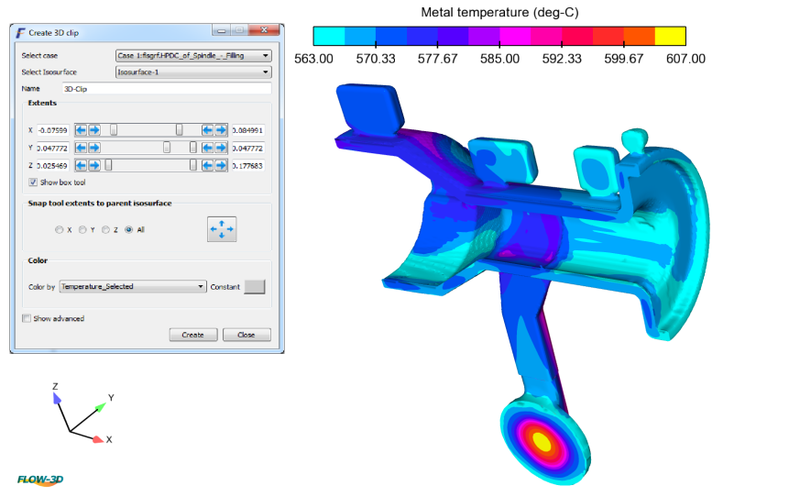 But, it is informative to visualize a probe during post-processing to give the user a thorough insight about the location of the probe in the simulation.